Consisting of 498 hectares, it is located on the edge of the Darling Scarp approximately 30 km southeast of Perth and approximately 5 km south of central Armadale. It is part of the Wungong Regional Park. In parts, the Park provides a dramatic lansdscape of high scenic quality. 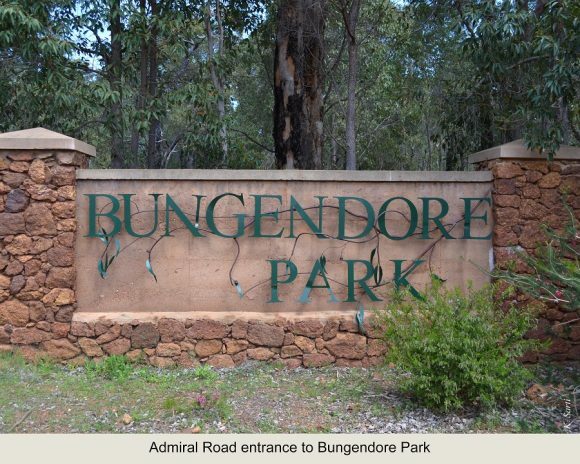 Bushwalking opportunities are provided in the Park, outside of areas designated for conservation. Four named walk tracks are marked in the Park with tree tags. Leaflets are available from the City of Armadale illustrating these walk tracks. The Park also has good lookout places. The Wildflower Society Bushland Conservation Fund is a separate fund used only for Conservation and Environmental purposes, and is a Charity and Deductible Gift Recipient. Donations to the Wildflower Society Bushland Conservation Fund are tax deductible. The Fund is not-for-profit and separately administered in accordance with the relevant legislation.